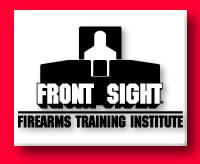 Front Sight offered to train each and every commercial pilot in the world how to use a gun defensively. They offered to do this completely free of charge. They're willing to contribute up to $150 million to train commercial airline pilots--and it won't cost the government, taxpayers, airlines, or airline passengers a dime. So the Front Sight Founder's Society paid for a 60-second commercial encouraging Americans to contact President Bush, the FAA, and the airlines to demand that commercial pilots be armed. The ad also mentions Front Sight's offer of free defensive handgun training for pilots. The commercial was sent to the major TV networks to be run during prime time. According to Front Sight, the TV networks don't want to touch the ad with a 10-foot pole. Are we really that surprised? These same networks use their news programs to try to convince Americans that guns are bad. Guns are dangerous. They kill people. Even the prime-time entertainment shows slip anti-gun messages into their scripts. There were several shows ("ER," for one) whose season finales last spring dealt with mass shootings. The networks are bending over backwards to meet the anti-gun lobby. They couldn't possibly show the American people the overwhelming statistical evidence that guns save lives--not even when armed pilots or passengers would most likely have been able to fend off the hijackers on September 11. Arming people just doesn't fit with the liberal agenda. Front Sight isn't about to stop promoting its message. They're re-working the ad to make it more politically correct. They'll try again next week. Here's hoping they succeed.